Proposed Title: Identifying optimal application rates of urine-based fertilizer for basil grown in climate-controlled aeroponics chambers. 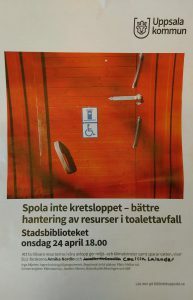 Next week, Annika Nordin and Cecilia Lalander, Researchers at Kretsloppsteknik will be at the Uppsala City Library to discuss why our current water-borne sanitation system is not as good as many might think. They will present what we believe will be the future sanitation solutions, which in a better and more efficient way safeguard and manage the resources in our sewers. This year’s event had the theme below the surface, and brought up a wide range of interesting topics; from deep-sea research to the psychology of how we look at and manage the threat of climate change. 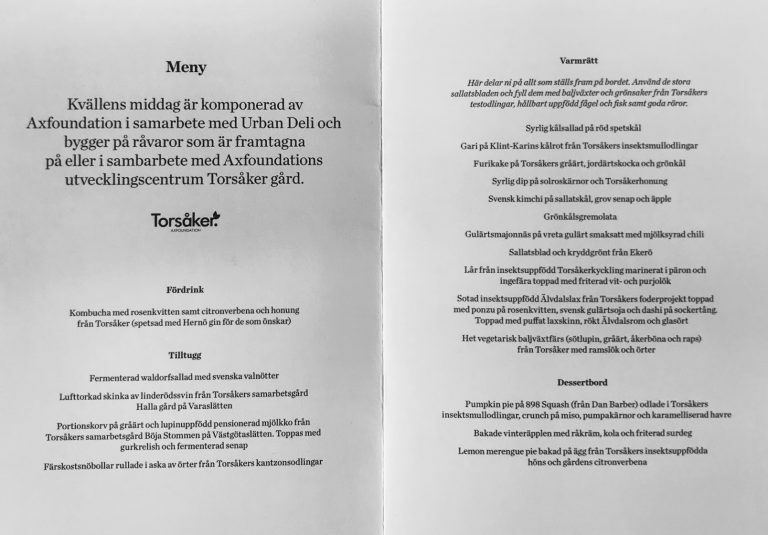 At dinner Axfoundation presented their vision of future food and that’s where we came into the picture. On the menu were cabbage and pumpkin fertilized with frass (insect compost) from our fly larvae reared on food waste, served with chicken and rainbow trout that had insects as their main protein source. 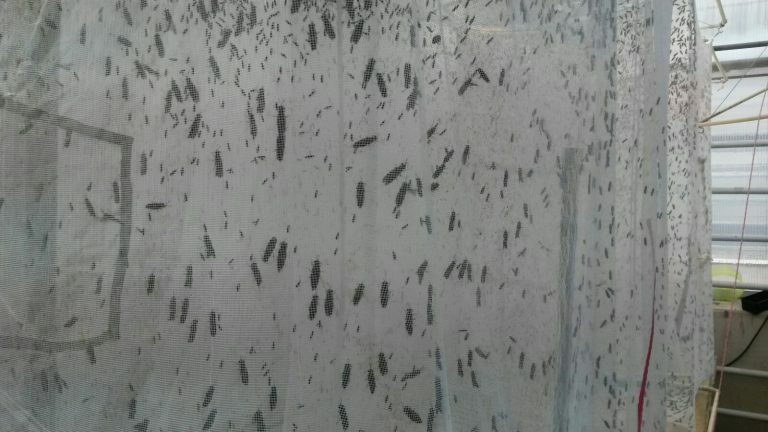 The larvae used in the feed were reared on reclaimed bread and vegetable waste from Sorunda grönsakshallar. 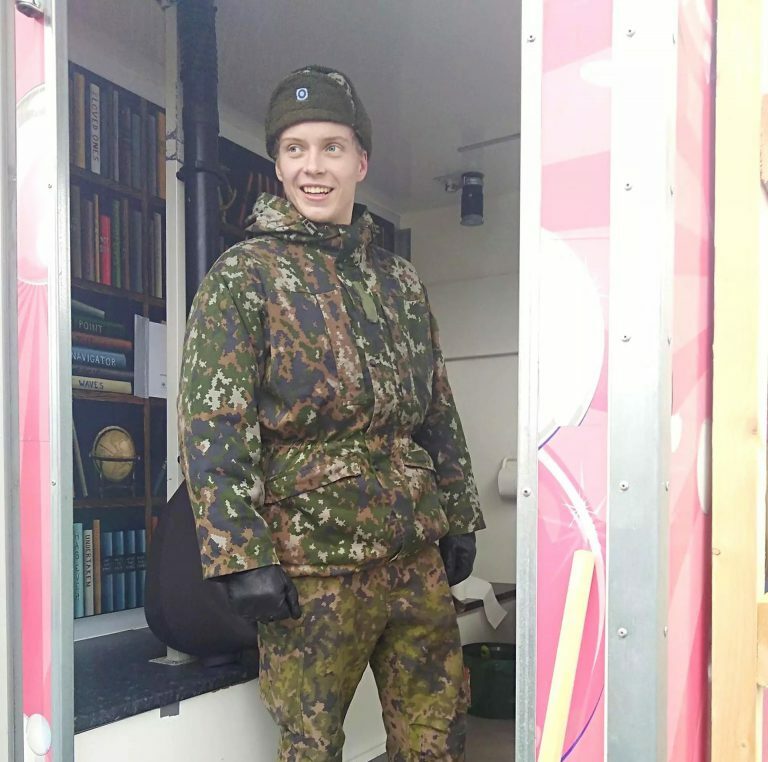 Within the MORTTI project, our group’s urine drying technology is being piloted at Pori Brigade’s military training site in Finland. 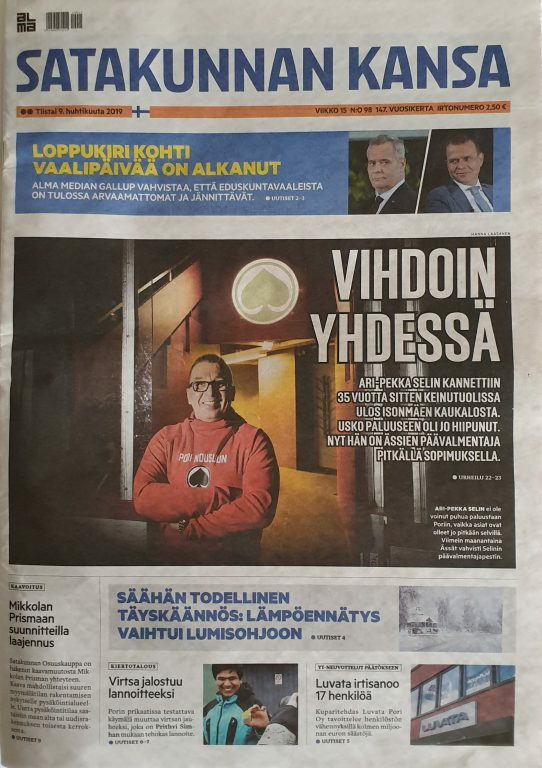 Earlier this week, as part of an organised media day event, members of our group Caroline Karlsson and Prithvi Simha alongwith MORTTI project partners interacted with several local and national media outlets. Click below to read what the media thought of this visit and our toilet system. 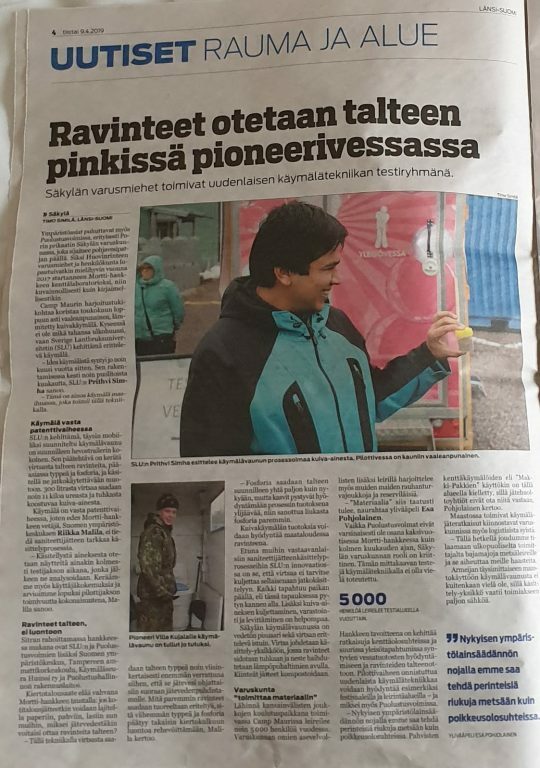 On the 8th of April, the MORTTI project partners organised a media day for our project in Finland that has been operational since the first week of March. This 3-month pilot stabilises and dries human urine collected from soldiers, to be safely recycled as a dry powder fertiliser. The project pilots the urine drying technology developed by our research group at SLU. Representing Kretsloppsteknik at this event were Caroline Karlsson and Prithvi Simha. 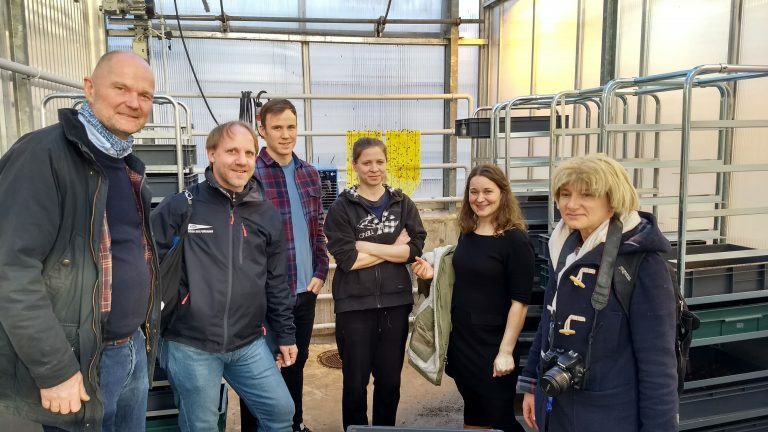 On the 12th of March we had a visit from our colleagues at the Norwegian Institute of Bioeconomy Research (NIBIO). On the visit came Trond Mæhlum, Bente Føreid, Thorsten Heidorn and Anders Enoksen. From our group Björn Vinnerås, Jennifer McConville and Cecilia Lalander joined. We presented about our different ongoing projects on safe nutrient recycling: Björn presented on urine drying and Cecilia on fly larvae composting while Jennifer presented her work on the readiness of the Swedish wastewater sector for a technology transition. We were updated on an ongoing project on sustainable and circular urban farming systems that is a collaboration between stakeholders in Europe and China (Sino-European innovative green and smart cities). We were happy to know that the delegation from Norway come to visit us for inspiration on possible technologies. We hope that we in the future will be able to collaborate on some of these exciting technologies. Proposed Title: Identifying effective transport systems and logistics for new sanitation systems that produce fertilisers from human wastes. Background: In the sanitation sector, there is growing recognition that we urgently need to change the way we handle, treat, and recycle human wastes in our environment. 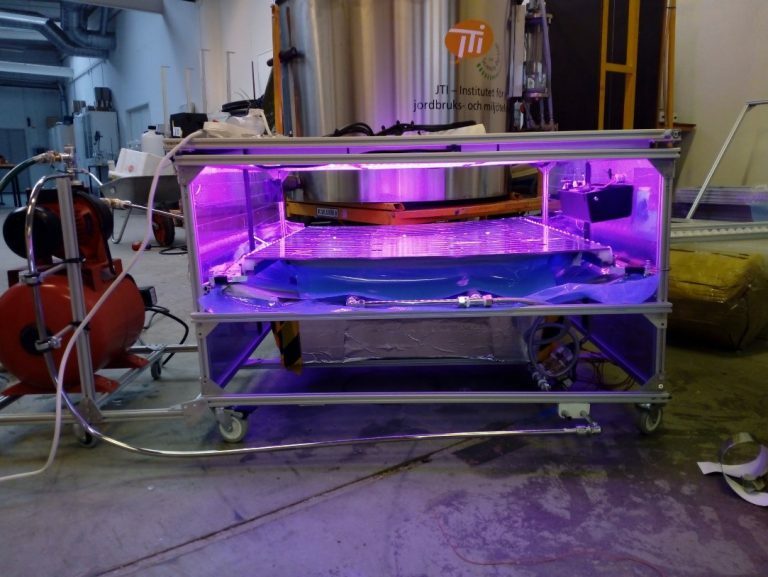 At the Swedish University of Agricultural Sciences (SLU), the environmental engineering research group has developed the ‘urine dehydrator’, an exciting new technology that converts liquid human urine into a hygienic, commercial-quality, dry fertiliser. The technology involves two steps, (a) using a urine-diverting toilet at home, to separately collect urine without the faeces; and (b) drying the urine within an alkaline substrate that placed is placed in the urine dehydrator. We are looking for a motivated and enthusiastic student to assist in developing a computer model that simulates the impacts of different technology choices for management of wastewater flows. The model will be incorporated into a serious game that we are developing to guide sanitation planners and decision-makers. The game is a multi-stakeholder, spatial planning game for municipal sanitation which focuses on resource recovery. It will allow for a visual representation of what technologies can be used and what resources can be recovered from sanitation facilities.